Strong demand for A-grade pubs across Sydney has underpinned a flurry of transactions in the first few weeks of 2015, with the sale of Le Pub Balmain and Napoleons Hotel among the latest assets to change hands. Together with Napoleons Hotel Riverwood and Le Pub Balmain, recent pub transactions total approximately $30 million across Sydney. Le Pub Balmain (formerly the Monkey Bar) was sold by well-known operator Pat Gallagher to local pub identity Tim Condon, who currently operates the East Village Balmain and recently sold the Newington Inn in Stanmore. Well positioned in the heart of Darling Street, the 575sqm hotel features 20 poker machines and holds scope for future residential development potential at the rear of the premises. 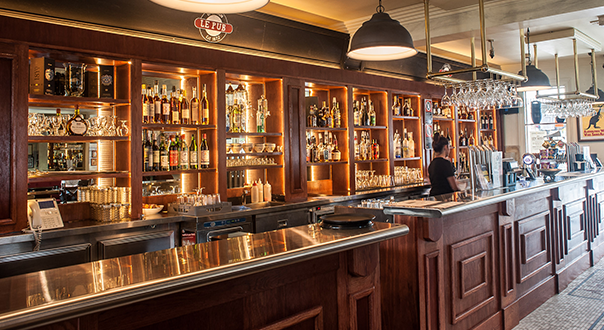 Le Pub Balmain was sold for around $6 million. Iris Group recently acquired the Napoleons Hotel in Riverwood from long-term industry stalwarts, the Stanford family. CBRE Hotels Director Daniel Dragicevich, who negotiated the off market transaction, said the price of approximately $14 million reflected the continued capitalisation rate compression experienced for most of the past two years. Mr Dragicevich said the sale came at a time when the industry was entering an upward cycle, with CBRE responsible for more than $150 million in pubs transacting across Sydney in Q4 alone. “This is another example of a long term owner selling to take advantage of the increased demand and favourable pricing environment,” Mr Dragicevich said. In further evidence of the strong investor appetite levels currently being seen in the 2015 market, CBRE Hotels has recently transacted another two assets.